A little bit of heat and a little bit of sweet is perfect in this festive Cranberry Salsa. 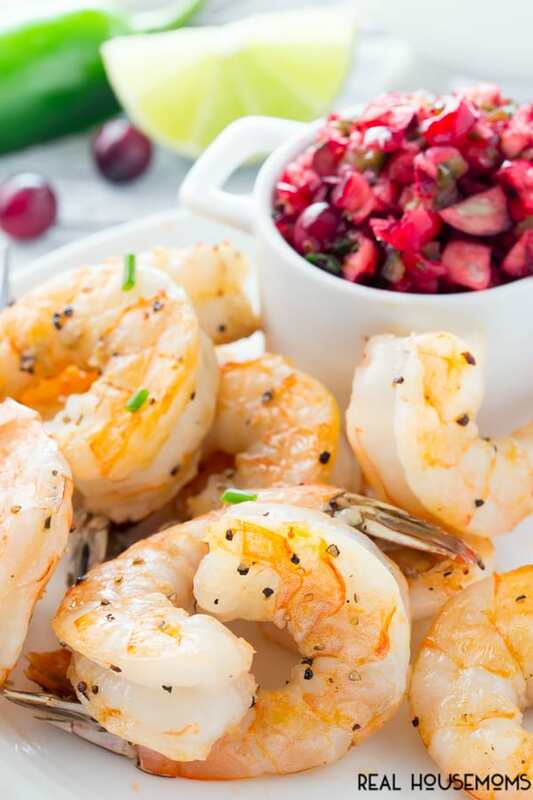 It makes a great appetizer when paired with Grilled Shrimp. Let the party begin! 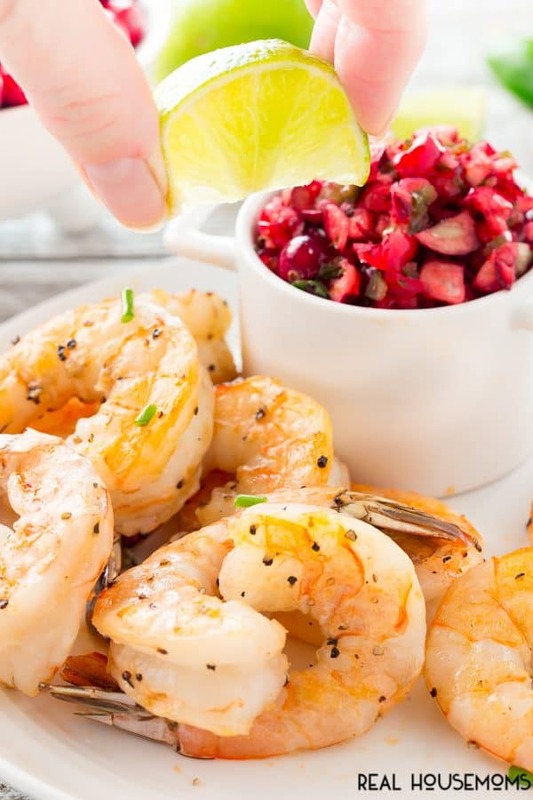 GRILLED SHRIMP WITH CRANBERRY SALSA! It’s the most wonderful time of the year and there is an app for that. I’m talking about appetizers – the more the merrier and let the grazing begin! Don’t you just love this time of year when friends and family come together for the holidays? I love entertaining and like to wow my guests with a spread on the table with all different kinds of appetizers (and of course some tasty beverages). 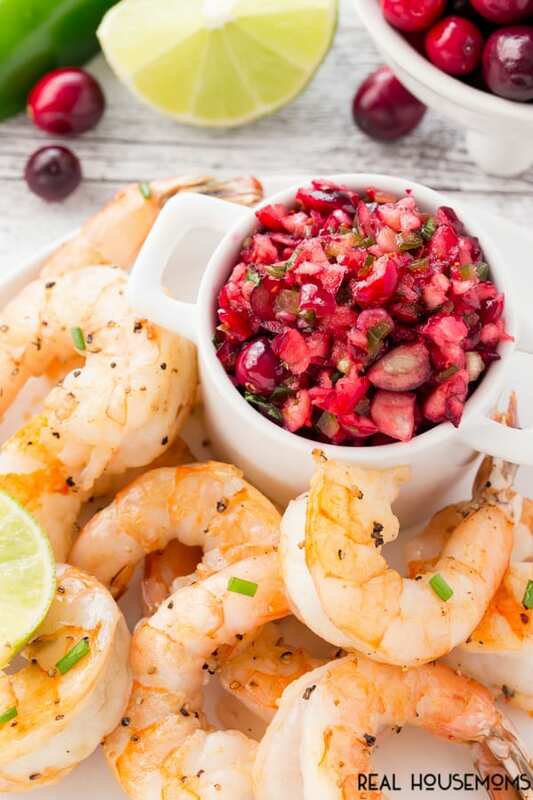 This cranberry salsa will sure to be a hit and will be the first to disappear so you might want to make a double batch – just saying! When I was a kid the only time I had or was served cranberries was at Thanksgiving. Mom would open the can of Ocean Spray jellied cranberry sauce and it would come out as a blob in a bowl. She used to try to make it look pretty by chopped it up with a spoon. It would get passed around the table but there weren’t many takers – ha. Same in your house? Now that I’m older, I’ve discovered that cranberries are so versatile. How do Cranberry Gorzonzola Tarts or Cranberry Brie Cups sound as other appetizers? And don’t forget this Cranberry Party punch that is also kid friendly. Embrace the cranberry! But wait there’s more! 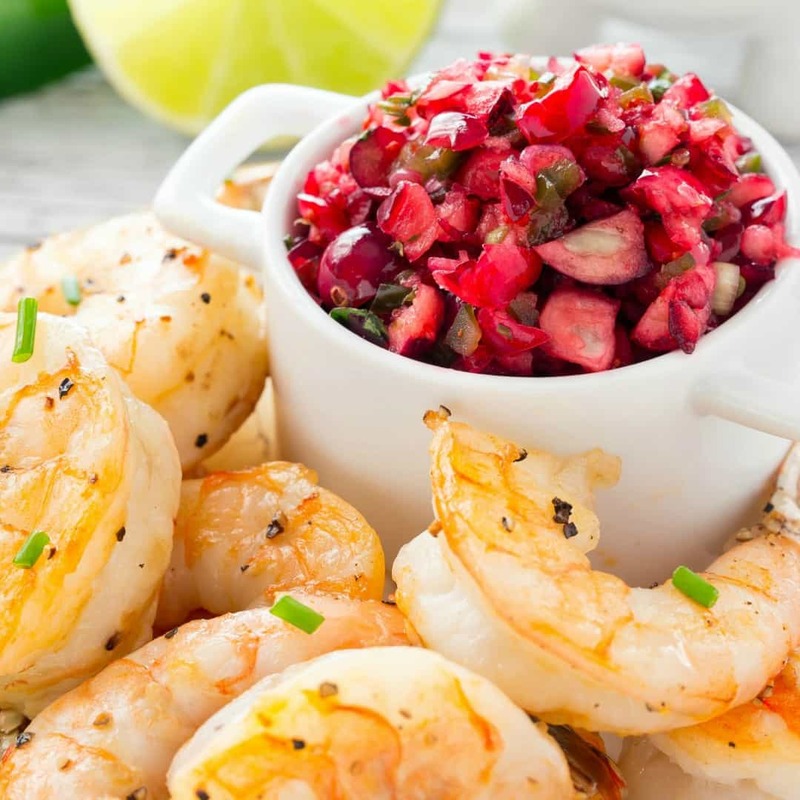 Not only is this salsa good with grilled shrimp but it can be used other ways. Bam – Pour it over some cream cheese and serve with crackers, bam – use as a topping for grilled chicken or salmon for dinner, or bam – serve plain with some tortilla chips. So, who’s going to do the salsa?? 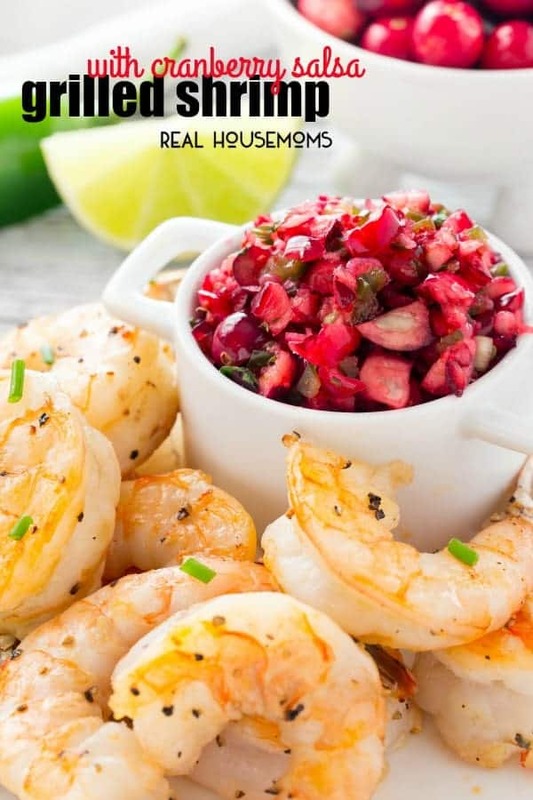 This sweet and spicy salsa with grilled shrimp is your new go to appetizer for the holidays!